Join apologist Sean McDowell as he explores evidence for the existence of God, the truth of the Bible, and the deity of Jesus Christ. Seekers and believers will learn that what they believe affects their choices now—and their eternal destination. 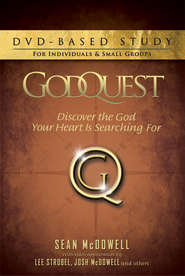 DVD includes six 10-minute sessions, downloadable leader’s guide, discussion questions, daily Bible studies, and more.